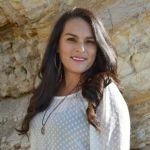 A native of Santa Maria and mother of two,Patricia has served as senior program and management staff with the Central Coast Future Leaders over the last 12 years, including her role as Executive Director since 2016. As a bilingual and bi-cultural community leader, Patricia has a profound understanding of the communities of North County, through her work with CCFL, as well as her leadership role in many local community actions and initiatives, including her service on the FUND’s Grant Making Committee and annual North County Tardeada event. Among her numerous recognitions, in 2016 Patricia received the Working Families Award from the Santa Barbara County Action Network for her many efforts to improve the lives of working families in the region.